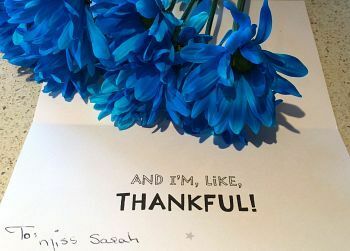 When is Teacher Appreciation Day 2019 & 2020? Teacher Appreciation Day, sometimes also referred to as Teachers' Day or National Teacher Day, is an event held annually in the United States to honor and appreciate teachers and recognize their lasting contributions to education and society and the lives of their students. 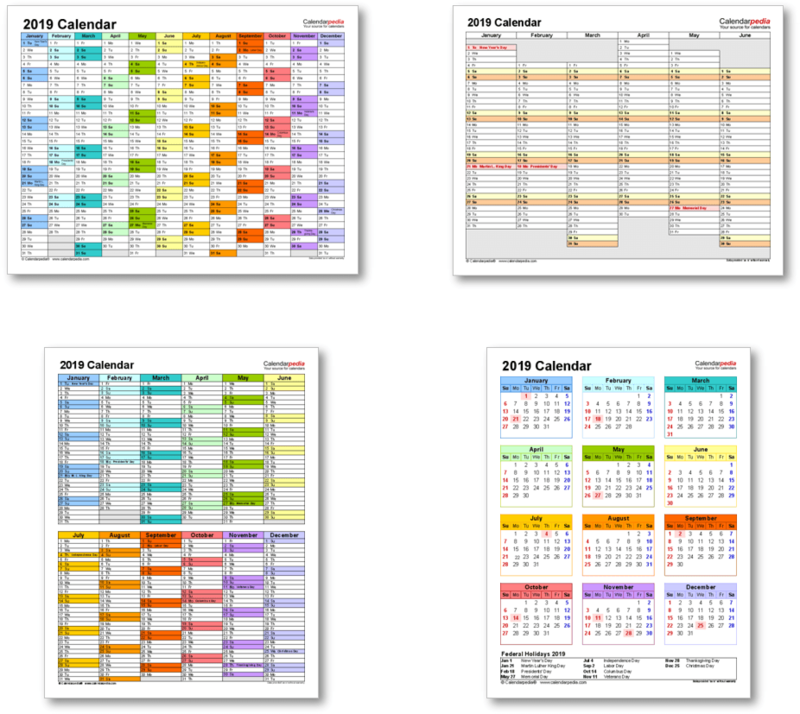 It takes place on the Tuesday of the first full week in May and is the main day of Teacher Appreciation Week, a week-long celebration of the work of teachers. Students prepare gifts and thank you cards to give to their teachers on this day, and events are held in many schools to mark the occasion. In other parts of the world, a number of countries celebrate their teachers on World Teachers' Day on October 5, while the national Teachers' Days of other countries are spread all through the year, usually to commemorate an important local educator or a significant event in the development of the country's education (for details see this list of Teachers' Days). 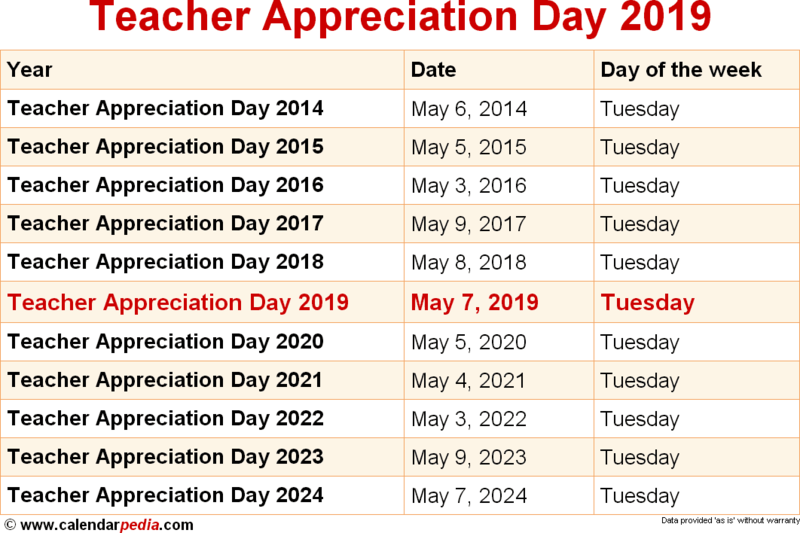 When is Teacher Appreciation Day 2020? The next occurrence of Teacher Appreciation Day is marked in red.